Storksak is an international phenomenon. The functional, fashion savvy collection is adored by parents worldwide with some of Hollywood’s hottest stars choosing the Storksak as their preferred accessory. 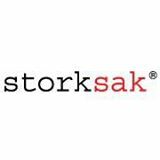 Storksak is available through more than 300 stockists across Australia and New Zealand as well as online through Australia’s official Storksak website. The Storksak collection continues to expand with exclusive new styles introduced each season. To create a line of affordable luxury baby changing bags that doesn’t compromise Style for function.